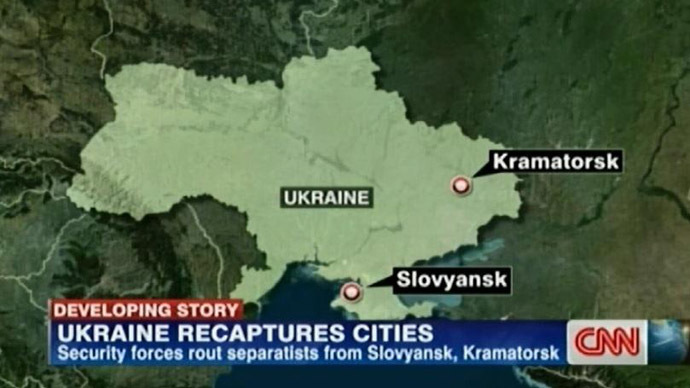 Lost again: CNN map places E. Ukraine’s Slavyansk in… Crimea? The American network was reporting Saturday on the Kiev military forcing out the self-defense troops out of Slavyansk and Kramatorsk, the cities in Ukraine’s Donetsk region that used to be their strongholds for a while. In a lead-in to the report, the TV channel showed a map – where Slavyansk was moved hundreds of kilometers away from its actual location, to Crimea, a peninsula that rejoined Russia in March. In fact, the distance between Slavyansk (in Ukrainian language - Slovyansk) and Kramatorsk is only about 16 kilometers. Both cities lie to the north of the region’s capital, Donetsk. It is far not the first time that CNN graphics staff have demonstrated a relaxed attitude to accuracy when it comes to geography. 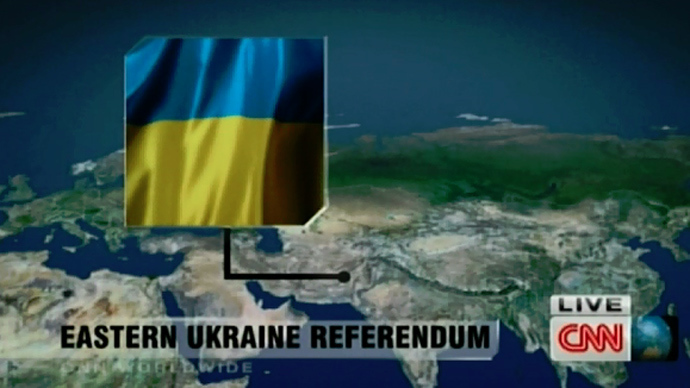 Earlier this year, the channel reshaped the world suggesting on its map that Eastern Ukraine was somewhere in Pakistan. The error was snapped by one of eagle-eyed viewers from a TV screen and published on Twitter, soon going viral on the internet and a target for sarcastic comments. 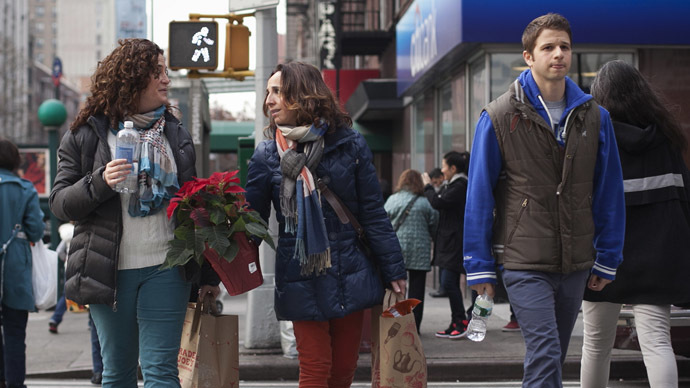 But it’s not just Russia and Ukraine suffering from CNN’s “pin a tail on the donkey” approach. In March, for example, CNN stated that the Malaysian capital, Kuala Lumpur, was in Indonesia. And covering the New Year’s celebrations around the globe, CNN flashed a caption suggesting that Auckland, in New Zealand, was a city in Australia. Before that, CNN placed Hong Kong, just off the coast of China, in South America. Even Britain, the old country, has not been immune from CNN’s wandering maps. Its capital, London, was shifted 100 miles northeast – to rural Norfolk.